Hey guys! This post is just for sharing a few things with you. I might make it a regular thing. For this one I’m showing you a blog, music and food. All have something to do with Korea. First up, check out the blog Dom & Hyo. This is a blog featuring fun webtoons about an American guy and Korean gal and their experiences as a multicultural couple. They have been together for a little over 3 years and have plenty of fun stories to tell. Dom has been living in Korea for almost 5 years and met Hyo while trying to learn Korean in his second year of living in the country. 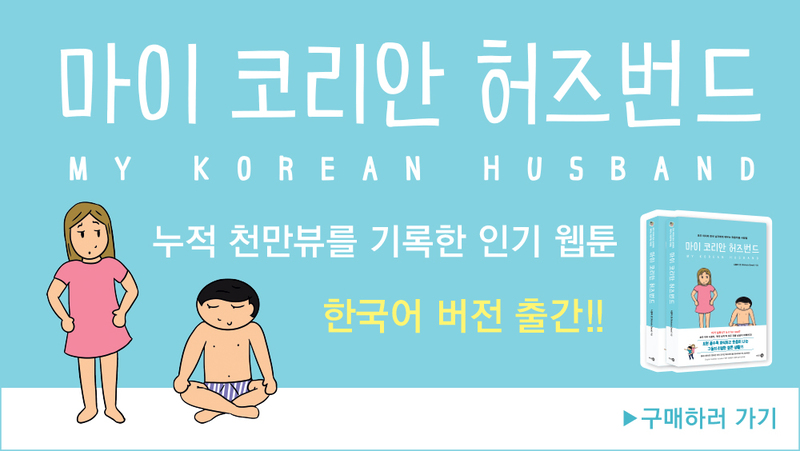 They also do fun and comics about Korean life, language, culture, and food. Check them out! We’ve also met them before and they are lovely! What things are you recommending at the moment? Let us know in the comment section!